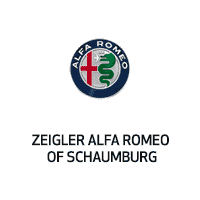 Located in Schaumburg, IL and serving the greater Chicagoland area, Zeigler Alfa Romeo of Schaumburg has the trusted Alfa Romeo auto service that you can rely on to keep your luxury vehicle in top form all year long. From fast oil changes to routine brake inspections to in-depth care, the certified professionals at our Chicago, IL area auto service center have you covered. Give us a call, schedule a service appointment online, or come visit us today for all your auto service needs. If you need a genuine OEM auto part or accessory for your Alfa Romeo sports car, look no further than our Chicago, IL area parts department. If you know the name and number of your desired part, fill out our form online. If you’d like assistance on a particular auto part and accessory, our certified Alfa Romeo experts are standing by to help you now. From the Alfa Romeo 4C to the Alfa Romeo 4C Spider, Zeigler Alfa Romeo of Schaumburg has the new Alfa Romeo inventory you’re looking for. And if you’re searching for an attractive used luxury vehicle that will turn heads wherever you go, check out our used vehicle inventory right away!